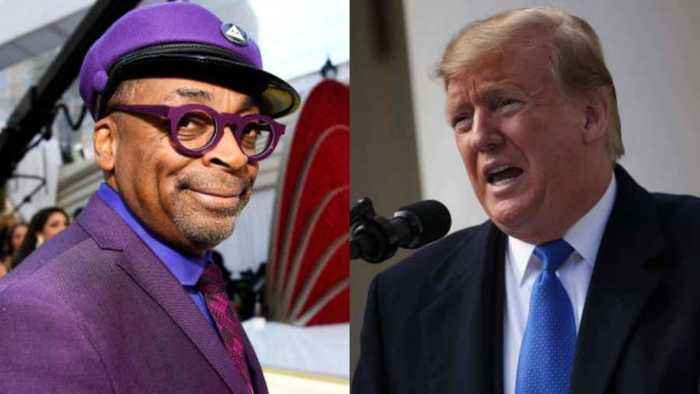 Trump Accuses Spike Lee of 'Racist Hit' During Oscars Speech After winning best adapted screenplay for 'BlacKkKlansman,' director Spike Lee referred to the history of slavery and urged people to vote in 2020. 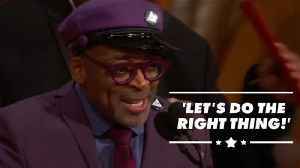 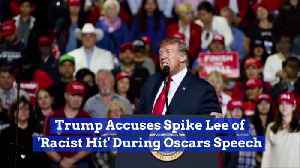 Spike Lee, at 2019 Oscars Trump responded to Lee's acceptance speech on Monday. 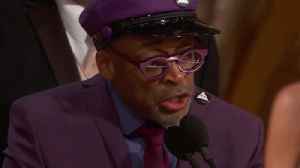 President Trump, via Twitter Spike Lee also made news Sunday night for being upset when 'Green Book' won best picture. 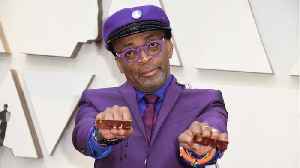 Spike Lee apparently hid away in a corner backstage at this years Oscars to scribble down an acceptance speech in case he emerged victorious for his work on BlackKklansman. 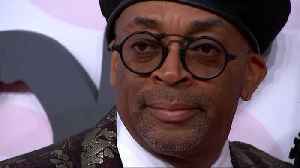 Spike Lee praised his ancestors, denounced Trump, and brought the room to their feet after "BlacKkKlansman" won Best Adapted Screenplay. 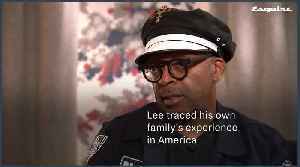 This video, "Spike Lee Wins Best Adapted Screenplay for..
Because he is the constant drumbeat in our national consciousness, it was inevitable that Donald Trump, American president, would insert himself into the Oscars debrief this morning. 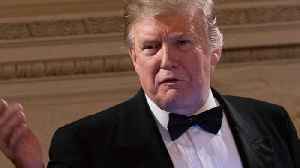 Because he is a..